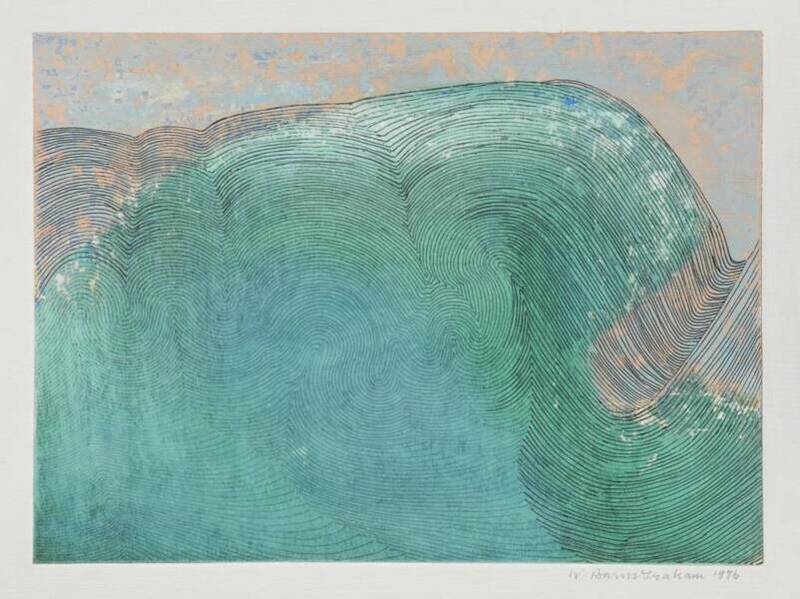 An exhibition of works by influential abstract artist Wilhelmina Barns-Graham has been nominated for Art Installation of the Year at the 2019 Design in Mental Health Awards. We partnered with Painting in Hospitals and the Wilhelmina Barns-Graham Trust to bring the artist’s calming, meditative drawings to Imperial College Healthcare NHS Trust. Working with emerging curator Briana Oliver, the Linear Meditations exhibition features a selection of carefully chosen works that capture the flowing power of water to both calm and captivate. Linear Meditations is shortlisted alongside the Wellbeing in Crisis lighting installation at Charing Cross Hospital A&E, the partnership between the Trust and the Royal College of Art aims to improve the environment for mental health patients. The winner will be announced at the awards ceremony on 21 May. You can see the exhibition at St Mary’s Hospital until July, when it’ll be moved to Hammersmith Hospital until October. To find out more about our hospital art collection, click here. The exhibition would not have been possible without the support of the Wilhelmina Barns-Graham Trust and Paintings in Hospitals.